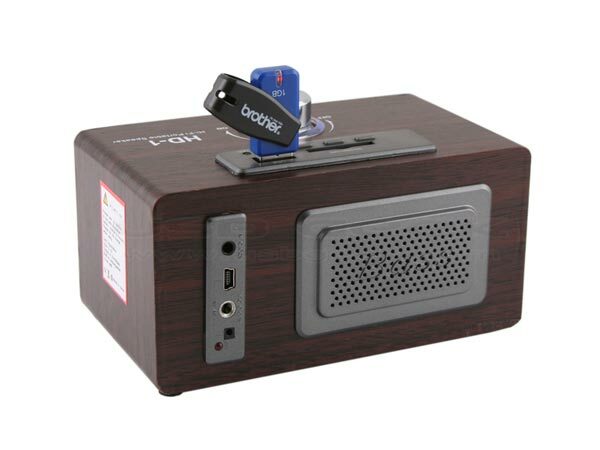 Here is another USB gadget from the guys over at USB Geek, the USB Retro Wooden Speaker MP3 Player. 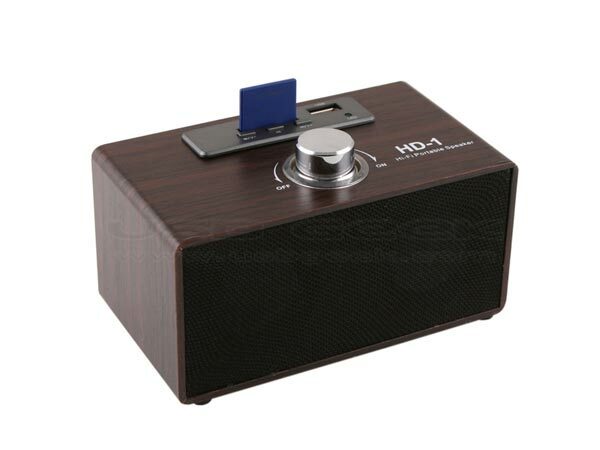 The USB Retro Wooden Speaker MP3 Player, features a built in rechargeable Lithium-ion battery that can be recharged by USB, it has a 4.5cm 3W stereo speaker. It can play your favourite MP3’s from a host of memory cards, including, SDHC, SD, MMC or even from a USB Drive, and has a 3.5mm audio jack so you can hook it up to your iPod or MP3 player. Standard 3.5mm aux-in audio plug apply with music player and digital products, e.g. PC, Mac, iPhone, iPod, PDA … etc. 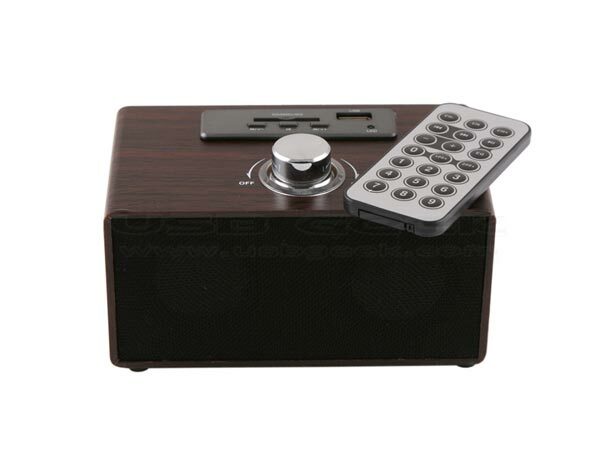 The USB Retro Wooden Speaker MP3 Player is available for $29.00 from USB Geek.